We spend our days at NACAC assessing whether each experience is blogworthy and abiding by the guiding principle that not everything we do here makes for interesting reading. Rather, we’ll try to share the conversations, sessions and experiences that are making our stay at NACAC so memorable. With that guiding principle, here was NACAC, day two. 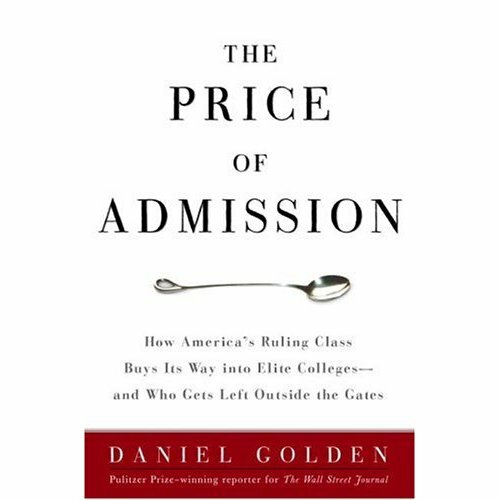 This book has been getting a lot of press lately, so you can imagine how much it’s being talked about in the company of NACAC. Fortunately (or sadly, depending upon how college-geeky this really makes us), Kevin and Arun each read the book during their respective flights to attend NACAC, so they’ve been able to weigh in with their own thoughts. At one point yesterday, Ted O’Neil from the University of Chicago asked Kevin, "So, you read The Price of Admission? What did you think of it?" Kevin was an English major in college and thus enjoyed years of training in criticial analysis and discussion of classic literature. But for Kevin, this was much, much cooler than being asked his thoughts about Faulkner’s The Sound and the Fury (a book Kevin read in college, but never managed, even for one second, to understand). 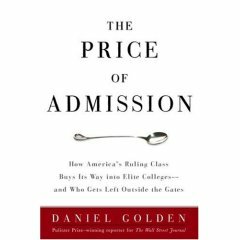 Kevin’s take on The Price of Admission, by the way, is that the book is somewhat predicated on the assumption that a kid who is "left out" of a spot in the nation’s most selective colleges is somehow at a life disadvantage. You don’t have to spend much time around Collegewise to pick up that we don’t believe you have to go to a school on the US News list to be happy and successful. Still, it’s not a simple issue, and we’ve enjoyed being a part of the discussions here with fellow counselors and admissions officers. Speaking of rankings, nobody has done more to combat the adverse affects of rankings in the college admissions process than Lloyd Thacker and the Education Conservancy. We attended a session to hear about the progress they’ve made to remove commercial interference from the college admissions process. 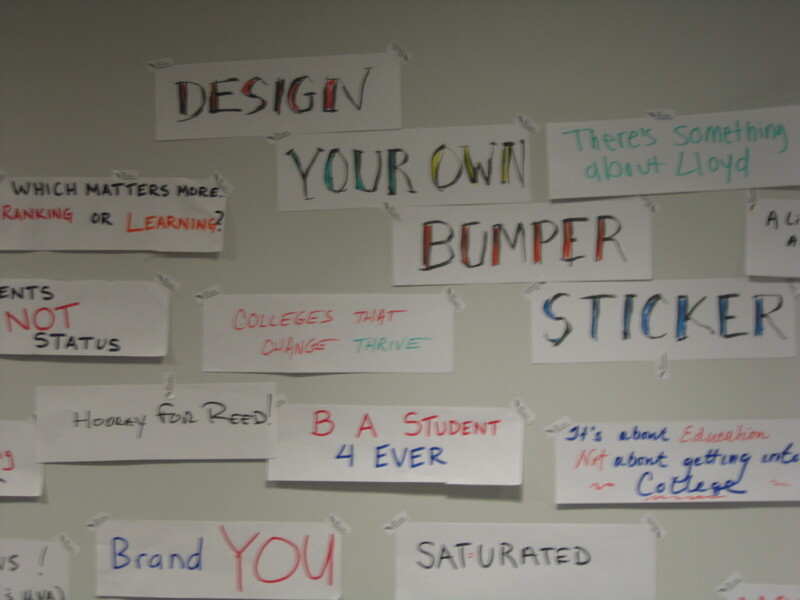 Later that evening, Lloyd hosted a reception where everyone was invited to design our own bumper sticker. 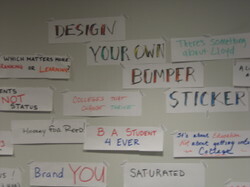 In true college prank style, we thought it would be funny to design one that said, "Want to go to college? You’d better call Collegewise!" Of course, we just wanted to put on the wall long enough to snap a picture and make our co-workers think we were actually slimy enough to do this. But thankfully, our good sense prevailed and we recognized that, like so many of Kevin’s ideas, it was much funnier in his head than it would have been in the actual execution. Instead, we created our own "There’s Something About Lloyd" sticker. We joined several counselors and admissions officers for dinner at a place one member of our group described as "distinctly Pittsburghian." You probably can’t tell from this picture, but there are french fries inside the sandwiches–apparently, that’s the way they make ’em in Pittsburgh. 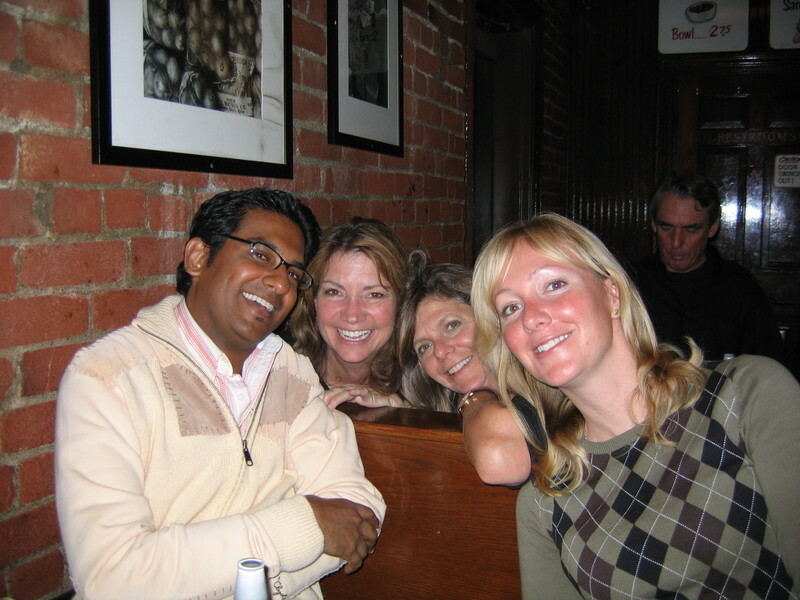 You probably can tell from this picture, however, that Puma never released Arun’s sweater for mass distribution in the United States. There has not been one second since we arrived in Pittsburgh when Arun hasn’t been "miserably cold." Given that 1) It’s not that cold here and 2) Arun grew up in Ohio, we wondered how he ever survived the winters of his childhood. 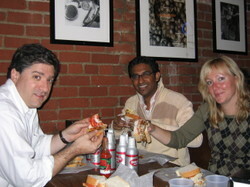 Arun surmised that his blood has thinned since he moved to LA, or that he hasn’t been getting enough fat in his diet. If it’s the latter, this cheese and french fry sandwich should have him warmed up in no time. I agree with your point on the Golden book — thanks for spreading the word that there’s more to the college search than the US News list! 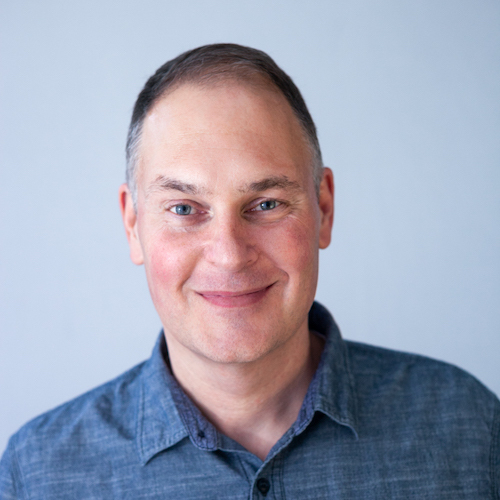 Lloyd Thacker is a great speaker… we saw him at NEACAC two summers ago, and I practically jumped out of my chair with excitement. His book is a winner too; well worth the read for anyone in the field.